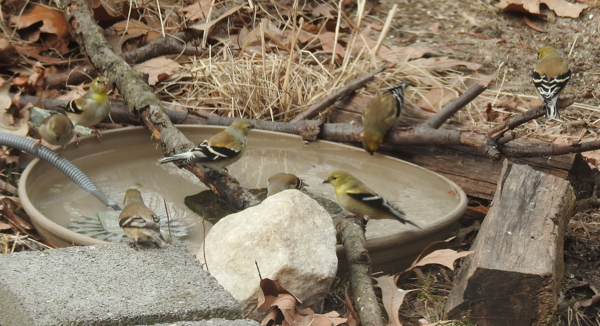 Most days I see the same birds at my feeders. It varies by season, time of day and weather, but I generally see the same species, usually in about the same numbers. But just when you think you won’t see anything new, a different bird comes along that you haven’t seen before. Today’s special visitor was a single Pine Warbler. 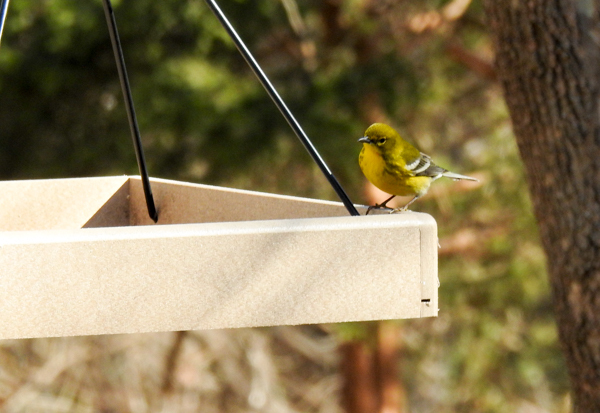 It took me an hour of watching him flit around, coming, leaving and coming back again, before I decided on Pine Warbler. 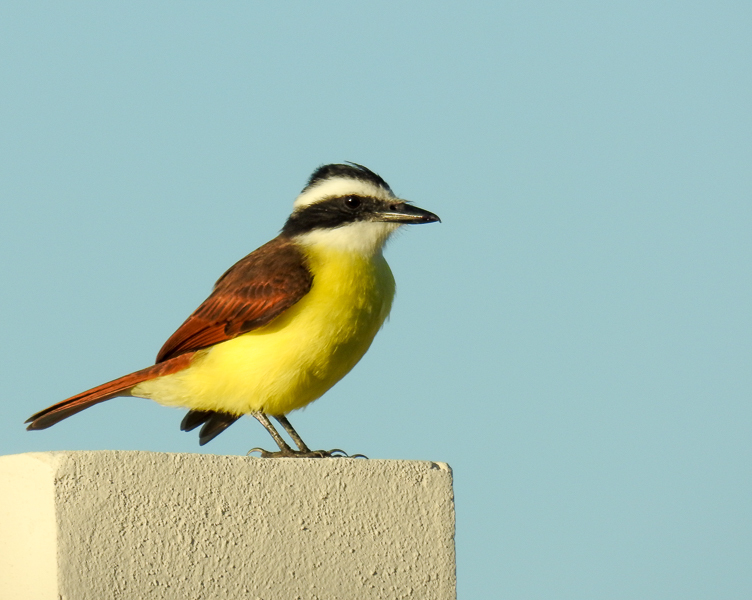 Because this was a new bird for me, I took several steps to be sure I had the ID right.